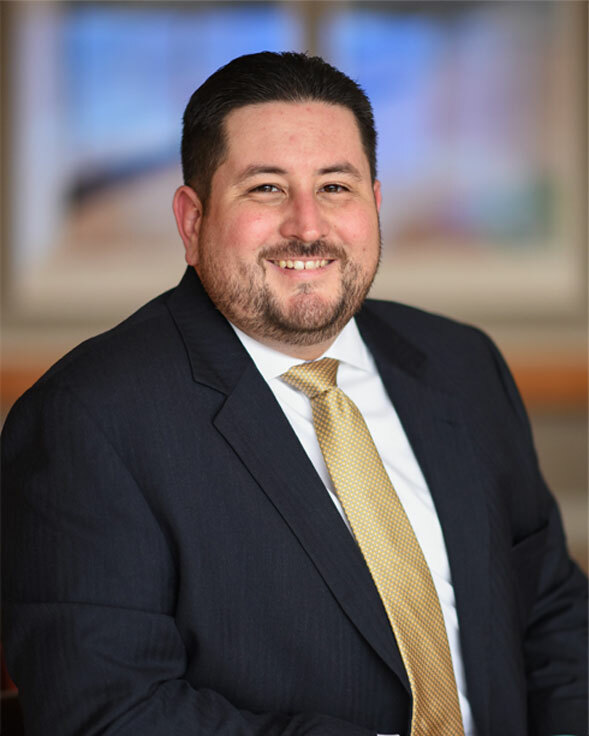 Eddie is a Partner at Murphy, Falcon & Murphy, specializing in personal injury, premises liability, complex mass tort, class action, and other general litigation claims for clients in Maryland and throughout the country. He has been selected for inclusion as a “Rising Star” by Maryland SuperLawyers Magazine (2017 & 2018). Eddie is admitted to practice in Maryland, the United States District Court for the District of Maryland and the United States District Court for the Eastern District of Michigan. Mr. Cardona believes he must create the best case in order to represent the interests of the firm’s clients and truly serve as an effective advocate. Since joining the firm as an Associate in 2013, Eddie has been responsible for all aspects of handling the firm’s cases from intake and investigation to resolution, including drafting pleadings, drafting and arguing pretrial motions, compiling research, deposing fact and expert witnesses, crafting discovery, settlement negotiations and trial. Eddie believes he must create the best and strongest case to represent his client’s interests and truly serve as an effective advocate. This means meticulous preparation, thorough investigation, working closely with experts, precision in understanding the law, and compassion for each individual client go into every case. Eddie was born in Los Angeles, California and received his B.A. in Political Science from California State University, Northridge. During his undergraduate years, he spent two semesters at the University of Maryland, College Park taking part in the National Student Exchange program. Eddie received his J.D. from The Catholic University of America, Columbus School of Law in 2008, where he was certified by the District of Columbia as a Rule 48 Student Attorney and served as Justice of Phi Alpha Delta Law Fraternity. He also received the Dean’s Award in 2007 and 2008 for service to the law school’s student organizations, as well as The Extra Mile Award in 2008 for outstanding service to the law school community. Eddie is a member of the American Association of Justice, the Maryland Association of Justice, and the Maryland State Bar Association. Eddie lives in Montgomery County with his wife, daughter, son, and Labrador retriever. architects, engineers and other design professionals concerning product specifications, building codes, construction practices, and material standards. While in law school, Eddie was certified by the District of Columbia as a Student Attorney. With Columbus Community Legal Services, Eddie argued and won an award of sole legal and physical custody in a case involving third-party child custody and obtained a monetary award which included attorneys’ fees, in a case involving an unlicensed contractor and violations of the D.C. Consumer Protection Act. Eddie also in the Office of the State’s Attorney of Prince George’s County and a Washington, D.C.-based union-side labor and employment law firm. Eddie was part of the trial team that obtained a $5.62 million jury verdict on behalf of an Anne Arundel County, Maryland condominium association against a nationally recognized homebuilder. After extensive litigation, including the successful defense of numerous motions for summary judgment, a denied Frye-Reed challenge against the condo association’s experts, and a five-week trial, the jury supported the plaintiff’s claims of negligent construction, breach of Maryland statutory warranties, negligent misrepresentation, and breach of contract. Eddie successfully helped resolve an environmental tort case against a large, multi-national, multi-billion-dollar energy company after the company’s coal ash holding cell failed allowing millions of cubic yards of coal ash to spill into nearby water ways and private land. The allegations in this case included that the spilled coal ash contaminated the soil of neighboring properties which had been owned by a single family for over 40 years in a sprawling neighborhood of Prince George’s County, Maryland. Eddie was a vital part of the trial team at Murphy, Falcon & Murphy who successfully resolved two multi-party, complex, mass actions in Baltimore City on behalf of 225 plaintiffs, primarily women and children, against ten defendants. The case involved allegations against the owner/operators of a subsidized housing property for poorly managing, operating and maintaining the apartment complex and the individual units. The plaintiffs also brought claims against the security companies alleging inadequate security and constitutional violations. Eddie successfully defended a federal wage and hour class action brought by alleged employees of a small business in Baltimore City. The workers sought to bring a class action on the theory that they were not independent contractors despite having entered into a contact with the business. The Class Action Complaint was dismissed by the U.S. District Court for the District of Maryland after Defendants argued that the workers’ employment status was irrelevant since the contracts contained binding class action waivers and mandatory arbitration provisions.